The movement to cloud computing is the disruptive change that IT departments will soon face as SOA and cloud computing begin to have an effect on the modern enterprise. IT managers must learn how to give as well as take information in this new, shareable environment, while still protecting their company’s interests. Innovative companies will take advantage of these new resources, such as cloud computing, and reinvent themselves as unstoppable forces in their markets. Those who don’t take advantage of this revolution will become quickly outdated, perhaps out of business. 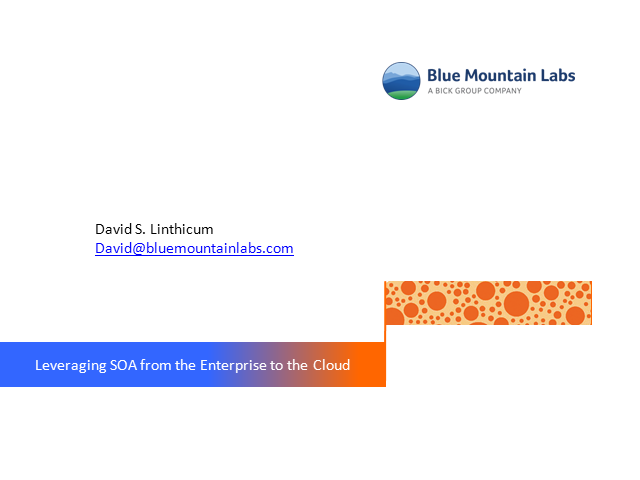 This presentation is your first step toward understanding the issues you will face as cloud computing and SOA converge, and how to open the company gates to nurture this IT Renaissance while still keeping the barbarians at bay.